You may know a lot more than you think you do, and you can get paid well to share that knowledge with other individuals and companies. Consider this scenario: you’ve worked twenty, thirty maybe even forty years in a specific industry and it’s getting close to time to think about retirement. You’re looking forward to getting out of the nine-to-five rat race and to a slower, more relaxed lifestyle but you don’t want to retire with nothing to do. Why not use your years of experience and hire yourself out as a consultant? The best part about this kind of career shift is that it makes you the boss and puts you in control of your future. Although there is a chance you may get hired on as a consultant at your current place of work, if you are still working, consider the possibility of using your skills elsewhere. 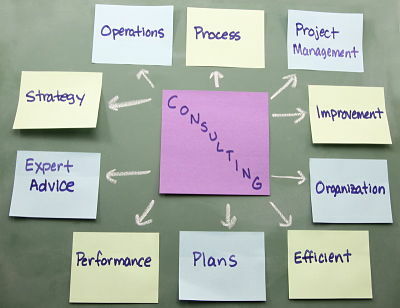 But before we get to that place you need to figure out what it is you can use to build your consulting business around. If you were working in middle or upper management of a value-added wood manufacturing plant it makes sense that you’ll know a lot more than the average Joe about specifics related to that industry. Based on that, there could be a niche you can focus on and develop into your consulting business. You will already have contacts from years on the job, which will pay dividends when it comes to networking and spreading the word about your new career. You’ll want to stay in that social circle to keep everyone in it aware of you and your skills. Another great way to build credibility is to start a blog or website where you can not only promote yourself and fill the internet with the news about what you can do for someone else, but if you are serious about following this path a blog or website gives you the perfect forum to sell yourself as an expert. You can start posting articles about your specific niche along with writing things about it or searching online for posts and stories where you can add your own postings or replies using your specific knowledge. For example, if the company you work for manufactures yellow widgets because no one liked the green ones, maybe start explaining this to show that when you were working at the company there was a lot of thought put into discontinuing the green product line. Whatever you choose to do to promote yourself, remember, the internet is a great tool when it is used properly so keep all your posts professional in nature and let your contacts know where they can find you online in case they have a lead to send your way. While you’re at it, don’t be shy about making contact with other consultants. There could be some tip sharing that could become useful in the future and maybe even a lead or two passed on from one consultant who happens to think you’re the widget king based on your online banter about them. Another thing you’ll need to do is stay current on what is going on in the industry you plan to be a consultant within as you’ll want to be on top of your game at any given moment. This could mean subscribing to industry-related printed and online publications and it could mean some schooling for upgrades if needed. Do all these things and the job offers may just flood in confirming that you have a wealth of information someone else is willing to pay you to gain access to! Before you start your consulting business, get help from a pro – cheap! Alan Weiss is the “guru of consulting,” and has written several best-sellers on the topic, including “Getting Started In Consulting,” “The Consultant’s Bible,” and “Million Dollar Consulting.” You’ll find all these books at Amazon.com or other online booksellers.